Vancouver’s Chinese food is a culinary Mecca. Its diversity and quality is mind boggling. Today there are more than 600 Chinese chefs toiling away in kitchens all over Metro Vancouver, compared with 400 last year. And a lot of these chefs are dazzling their local customers and the world with their amazing and sophisticated dishes. Richmond is a mini Hong Kong – home to a vast array of award-winning Chinese restaurants. No wonder that some of the of the world’s best-known publications – The New York Times and Gourmet magazine – have bestowed the title of the "best Chinese food" outside China upon Vancouver. And one publication, Conde Nast Traveler, even went so far as to say that Vancouver had the best Chinese food in the world. So that raises the question – whose Chinese cuisine reigns supreme in Vancouver? For the answer turn to the HSBC Chinese Restaurant Awards. There are three aspects to the awards. The critics’ choice signature dish, the diners’ choice awards and the best chef award, which is a first this year. 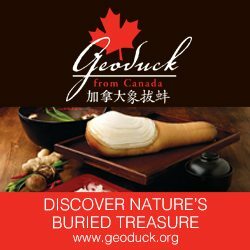 The best Chinese chef will be will be chosen by three professional organizations – Canadian Dim Sum Chefs Association, Chinese Canadian Chefs Association and Hong Kong Canadian Chinese Chefs Club. And a group of culinary critics and the public alike each will vote seperately for the best Chinese cuisine. From the list of hundreds of restaurants the critics pare down the list down to three to five choices. This will allow fellow critics to taste each choice and from that the final choices are made. Later this fall the winners are chosen, comprising of 24 gold signature dishes. For the first time the public can nominate their favourite Chinese restaurant by voting on-line. The nominations close tomorrow, Tuesday, October 5. And once that voting has been completed the top 20 nominations will form a list that people can choose from and vote for their favourite restaurant. Voting starts Wednesday, October 6.